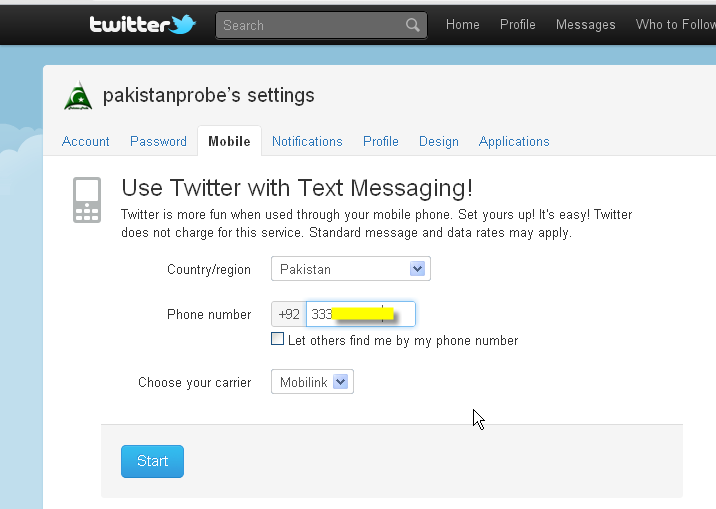 Twitter has launched Twitter with Text Messaging in Pakistan now. You can tweet any time by simply sending a Text Message to 40404. Currently Mobilink, Ufone and Zong are supported. Sorry to Telenore and Warid users, may be in the future they will support these two also. Send Tweets using text messages with this phone. Just send your tweets to 40404. Twitter does not charge for this service. Standard message and data rates may apply.